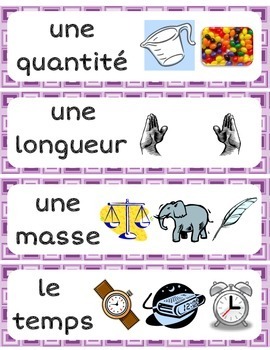 Before you purchase this product, please know that the COMPLETE French Math Word Wall Bundle is also available (a total of 6 Math units and 152 words). All of the units are colour coded and there are pictures and diagrams associated with every word. In this product, there are 94 words in the word wall. Units are also sold separately in my store. Follow me if you're interested in new weekly French resources.